We continued our join program with Rotary Club of Seminyak to deliver scholarships for students in Nusa Penida Island. In this program, 30 scholarships were given for XI and XII grader high school students from 4 different schools. Some students were selected for their impressive academic achievement while others were chosen because of the economic hardships they suffer. For the latter, recommendations from the teachers were highly regarded as they had more knowledge about their students. Our staff is having a discussion with the students. In this program each student will get Rp. 200,000 every month. 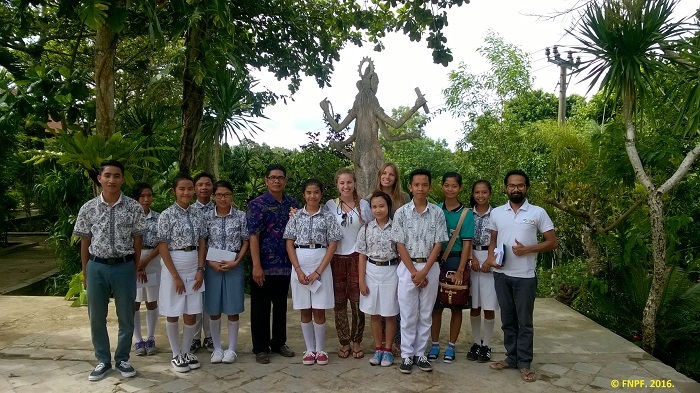 This month, we delivered thirty million Rupiah for 30 students from 4 school. Which means each students now have one million rupiah of scholarships that they can use for five months. 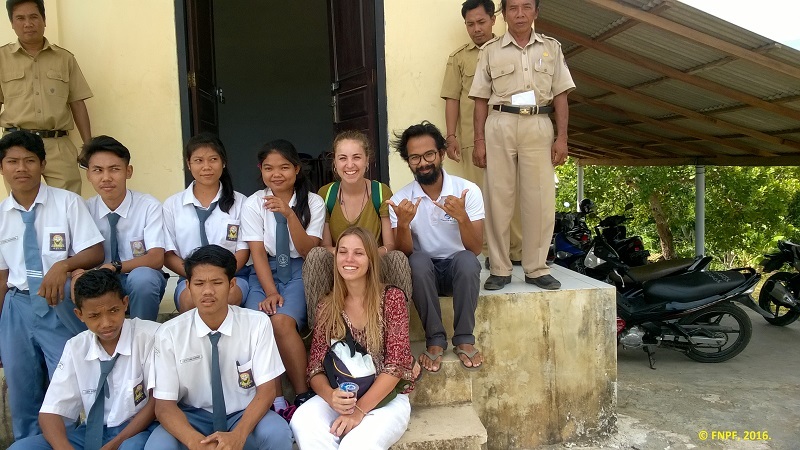 Our staff, bénévoles, and students from Tanglad high school. 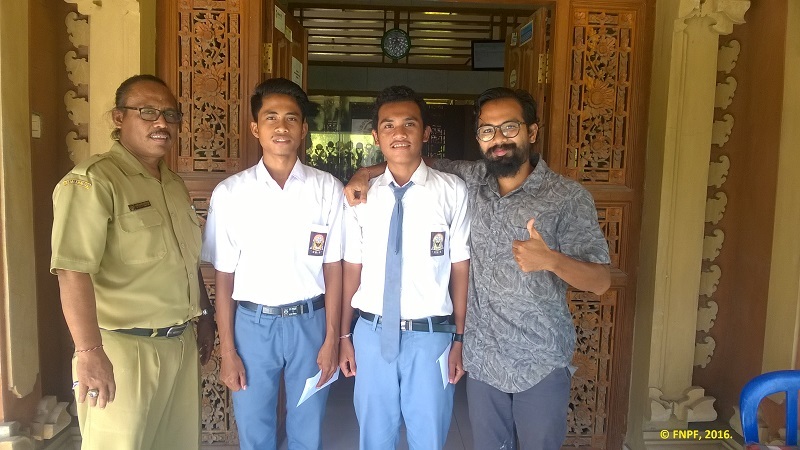 One student from SMAN 1 Nusa Penida and two students from SMKN 1 Nusa Penida were unable to meet us at their school because they are currently on school holiday. A meeting was planned next week to meet them. These three students are currently in their final month of school. From our discussion with them, they are eager to continue their studies at a higher level. Our discussion also shows that none of the students are late on their responsibility to pay their tuition fee. En outre, principals from each school can vouch that all these students are well behaved, intelligent, and very active in their schools. Ten scholarships were dilievered to Klumpu highschool. We would like to show our biggest gratitude to the Rotary Club of Seminyak for their support on this scholarships program. This program would not be possible without their generous financial support since the beginning of the program. 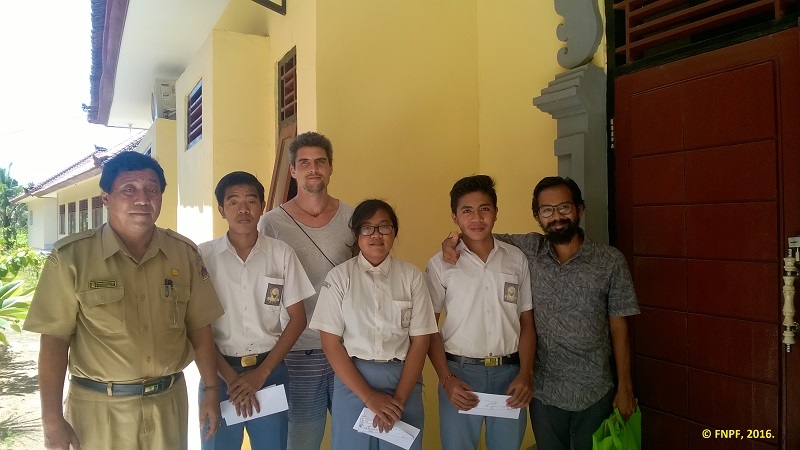 Two students of SMA 1 Nusa Penida were given scholarships. 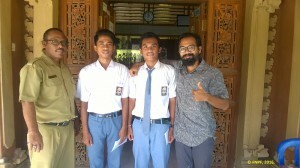 Three Scolarships were delievered to SMK Nusa Penida.